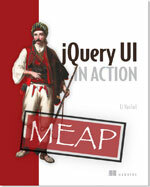 The first release candidate for jQuery UI 1.9 is out! Since the beta release, we’ve upgraded to jQuery Core 1.8.0 and jQuery Color 2.0.0 and landed quite a few more bug fixes. We’re getting close to a final release, but we’re still pretty busy working on our new infrastructure. We’re working on a new web site, new download builder, and new documentation site to accompany the new release. For a list of the major changes between 1.8 and 1.9, check out the beta release announcement. Keep in mind that 1.9 brings a lot of API changes, but we’re committed to having 1.9 fully support the 1.8 APIs even though many of them are deprecated. You can read more about the API redesigns in a previous blog post. For a full list of changes, see the list of 1.9.0 fixed tickets. We’re working on a full changelog and upgrade guide for the final release. 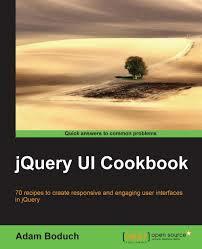 If you have feedback on us doing our first release candidate for jQuery UI 1.9, feel free to leave a comment below. Thank you. Is there a CDN that it is posted to to make using jsbin, jsfiddle easier. Fantastic news! Well done – I’m really looking forward to using this. Still no Grid support :(. I understand that it’s a difficult widget to make, but like the other widgets too, there should be a default one for Grid too. The main reason projects will use ExtJS instead of jQuery UI is because of the Grid. Actually jQuery Datatables has an excellent grid control that is fully theme-able with jQuery UI. That is still a better option while we wait for the jQuery UI Grid to land. Datatables is nice but it’s not in the distro and not on the official site like the other components, so that’s what jquery ui will be compared with. I don’t get why the jquery ui team don’t get this basic “marketing” point. Just take a look at ExtJS: they include in the demos even non-core components (but available in the distro), to convince as many users as possible to adopt their framework. What’s happen to the menubar? Menubar is not in this distro but is available in a separate file. If you search for jquery ui menubar you should be able to find it. Just include it along with the ui and you should be good to go still. @In Ho I’m not sure why you think this is a marketing problem for jQuery UI. Datatables is not associated with jQuery UI at all. Scandal was merely saying that choosing ExtJS over jQuery UI just because jQuery UI doesn’t have a grid is silly when there are plenty of jQuery grid plugins.